911uk.com - Porsche Forum : View topic - 996 Factory RS Clubsport Cage - Anybody got one fitted? 911uk.com Forum Index > 911 GT, R & RS Models (1973 - current) > 996 Factory RS Clubsport Cage - Anybody got one fitted? 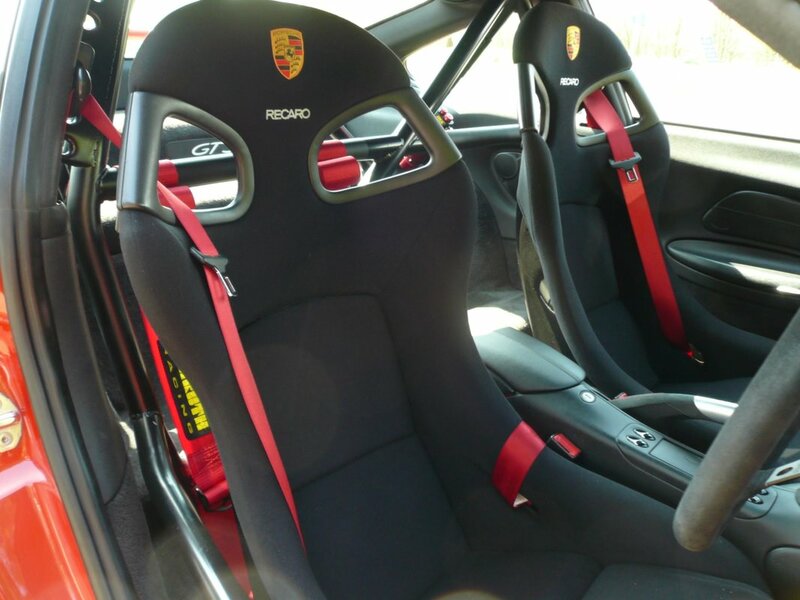 Posted: Wed Aug 22, 2018 9:45 am Post subject: 996 Factory RS Clubsport Cage - Anybody got one fitted? Does anyone has a factory 996 GT3/RS Clubsport rollcage fitted? If so would it be possible to post some pictures please? Ideally of the front & rear sections including the door bars, however any pictures of any sections would be gratefully received! Posted: Wed Aug 22, 2018 1:40 pm Post subject: Re: 996 Factory RS Clubsport Cage - Anybody got one fitted? There aren't any door bars on the 996 cages. As a starter until owners have a chance to break out their camera phones, Carnewal have a fairly decent picture of the full CS cage outside of the car here. IIRC the RS cage differs only in having an extra diagonal in the back (so the front is the same). The 996 GT3 RS seems to run a different cage with potential to utilize door bars similar to the 997 RS, can anyone confirm or deny? That is correct. 996 RS cage has "ears" for the door bars in the main hoop. Stock front section is the same as in CS cage so no "ears" for door bars. There used to be an optional stronger "racing" front section available that came with the door bars. It seems FVD still has those for sale. I have installed RS cage in my 996.1. but it has the normal CS style front section, not the racing version. Posted: Wed Sep 05, 2018 10:05 pm Post subject: Re: 996 Factory RS Clubsport Cage - Anybody got one fitted?